Fifty years ago if you’d asked for a glass of Malbec, you'd probably be greeted with a long, awkward silence. Today, there are over 8,000 wineries in the US, and even more bars that are pouring out such a vast, global selection of wines that America recently surpassed France as the world's biggest winos. Napa Cab? Easy. Orange wine from some senile Italian Grandpa in Friuli, Italy who made one case that mistakenly shipped overseas? You’ll find it, and more, at one of these 21 establishments uncorking the best wine-bar experiences in the country. 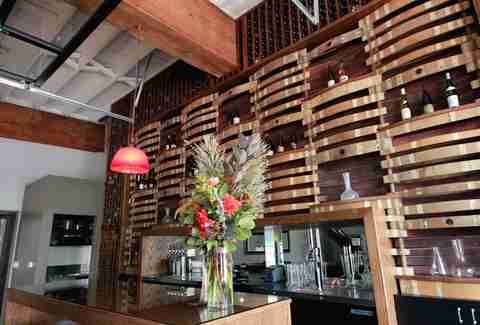 A simple, sleek, and modern environment sets the backdrop for food-friendly natural wines. Wine director Mariel Wega likes wines that express a distinct personality and place (like Humphrey Bogart in Casablanca, only with less cigarette smoke). 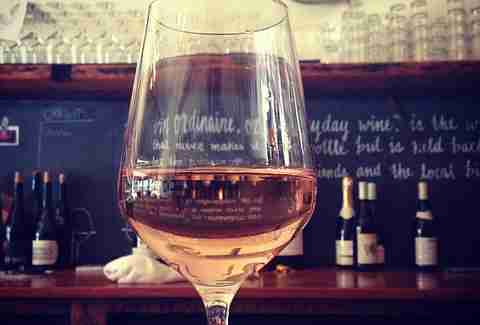 Philly drinkers have a selection of 12 rotating wines by the glass (white, red, rosé, sparkling, and sherry) and approximately 400 bottles to choose from. They also recently won "Best Squid" in the city by Philadelphia Magazine... as auspicious an honor as any. If you love bubbles (who doesn’t? 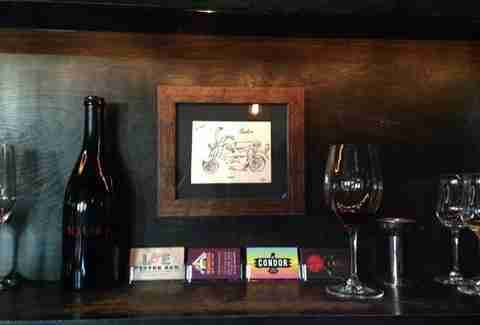 ), then this tiny nook hidden in Portland's industrial waterfront is your Champagne room. 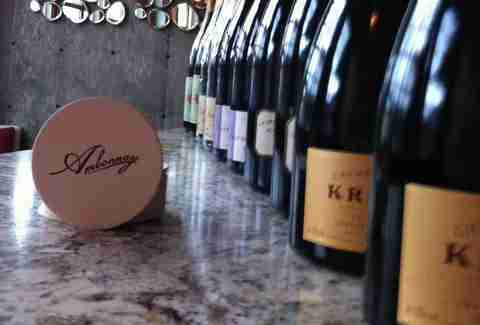 You don’t need a reason to celebrate at Portland’s only wine bar exclusively devoted to Champagne and sparkling wine, but you might be moved to make a toast to their affordable prices and lack of pretension. Don’t let the easygoing nature of Ambonnay fool you; owner David Speer was named one of 10 Sommeliers of the Year in 2013 by Food and Wine, and he’s a Champagne fanatic. Grab one of the bar’s 20 seats, snack uncontrollably on their truffle popcorn, and get prepared to imbibe enough fizz to give the Bubble Bobble dinosaurs a run for their money. There was nowhere to buy wine when Chris Rudge, partner and wine director, opened up shop in 2002 in the historic Bywater neighborhood (Society of Saint Anne starts their Mardi Gras parade here). In the last few years, word of mouth has leaked past the tourists wearing nothing but feather boas to attract seekers of wine wisdom and truth who flock here to hang out in the backyard, where a mish-mash of lawn chairs makes room for 200 and live music carries the night away. Rudge is all about small producers and Old World wines. On any given night, the upstairs bar pours 10 wines by the glass, and 10 different wines are offered downstairs, where folks enter through a retail shop boasting 300-400 facings. Pick out a bottle and exit through a side door, which leads out to the backyard, and look for a window where you can call up an order of everyone’s favorite: bacon-wrapped dates. In the heart of California wine country, Kevin Wardell decided to open an all-European wine bar. Does he want to make enemies? Absolutely. Unfortunately for him, his plans haven’t panned out: locals have embraced the “made from scratch” concept, hanging around late, perched on reclaimed wooden stools, gawking at vintage refrigerators stocked with beer. 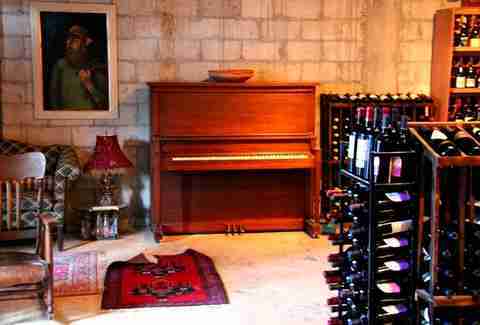 Wardell is a certified sommelier who had a love affair with Italian wines, and he’s paid his dues in cellars as well. There are 20 wines by the glass and 120 bottle offerings (plus sake, cider, and beer), and to help wash it all down, they’ve built out what amounts to a grilled-cheese truck inside their bar. They boast pairings for every grilled cheese sandwich with one stand-alone favorite, the "Tanzbödeli" (Nicasio talegio, roasted mushroom, thyme, lemon rub on sourdough) served oozing with a side of Donnaluna Aglianico from Bruno De Conciliis. Unabashedly pro-California (with a nod to a few global selections), this intimate wine bar is the place where Napa’s next generation mingles when their parents are down the street at Carpe Diem. The brainchild of Colleen Fleming and Aubrey Bailey -- they thought up Cadet in one night over beer and Chinese food (better that than tofu and bubble tea). 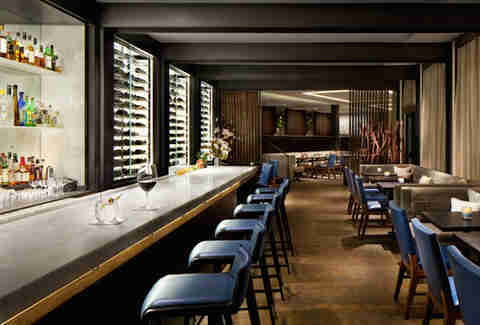 The focal point of action is one long, light-wooden bar with high-top tables and bar stools rounding out a modern feel. Local winemakers, brewmasters, farmers, and chefs gather nightly to wade through a selection of expertly curated unusual-but-approachable offerings, which includes 15 wines by the glass, some divine ciders and beer, 130-150 bottles, and four wines on tap. 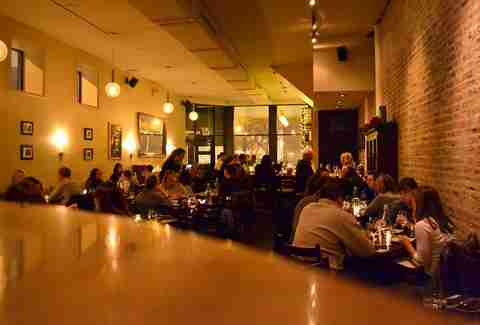 One of the first hot spots on DC’s 14th Street corridor, Cork Wine Bar is owned by husband and wife team Diane Gross and Khalid Pitts, who have curated a menu of classic, Old World-leaning, small estate, and sustainable wines. With roughly 40 wines by the glass and 300 bottles, they’ve written personal descriptions of each wine’s flavor profile to help make choosing easier for guests. A stone’s throw from the Capitol and White House, this is a go-to place for Obama administration winos in need of a glass of wine after beers with POTUS. Order their popular avocado bruschetta and launch into a debate with friends about which wine pairs best with the native fruit of Mexico, but leave politics at the door unless you’re loudly quoting Stephen Colbert, since that's always acceptable. 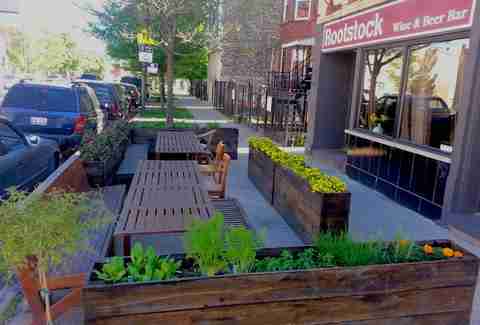 Is Master Sommelier Laura Maniec’s expanding Corkbuzz Wine Studio the sequel to Paul Greico’s empire of Terroir bars? (Honorable shout-out to the master of Riesling!) 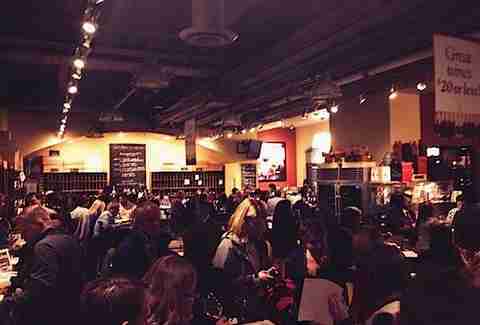 A second location has opened in Chelsea Market featuring wines from around the world, selected by 35 sommeliers. The original Union Square location is a wine bar and wine school designed to feel like you’re sipping vino in a cozy living room. Pull up a chair at the bar and choose any of the 40-50 (rotating) wines by the glass, or go for a bottle from the 200+ selection. Maniec has one foot firmly in tried-and-true classics and the other in new and interesting -- she likes to pour through her allocations of coveted juice, like wines from the Italian king of Amarone (Giuseppe Quintarelli, duh) that retail for several Benjamins (glasses available thanks to a Coravin program). You’ll do your best not to collapse at the feet of the Marquis de Lafayette after a night geeking out with a master and her disciples. 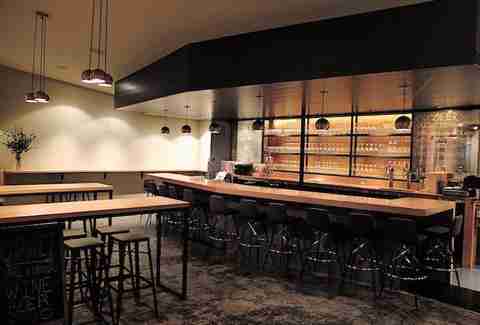 On any given night, some of LA’s elite beverage pros tend to gather here after work for beer and rounds of sarcastic exchanges with the bartenders. They also show up with bottles, left over from the night, or something they’ve held onto and want to share. Dustin Lancaster and Matthew Kaner run the show (Kaner was called out as a Sommelier of the Year in 2013 by Food & Wine). 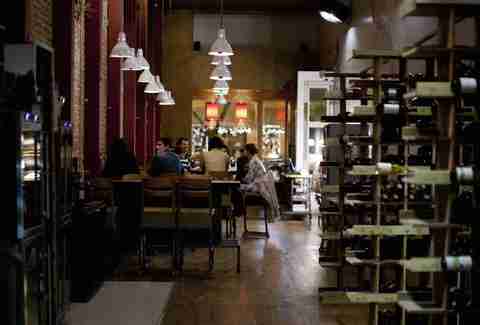 There is not a traditional menu, save for some markings on window panes suspended above the bar, but the staff can talk you through any of their roughly 150 wines by the glass, which run the gamut from fresh, young, and fruity to funky, dirty, and desperate for a pair of lips. Their tater tots (a newer addition) pair surprisingly well with rosé and sparkling wine, in case you want to get extra classy. Hopefully you carry a copy of the periodic table in your pocket, so you don't miss the silver reference (ahem). In recent years, this wine bar has proven a grooming ground for potential Master Sommelier candidates, and, currently, Carlton McCoy, the youngest MS in the world at age 30 -- along with Nick Barb (formerly of Eleven Madison Park) -- oversees a wine program that spans 100 pages, with about 50 wines by the glass and roughly 2,000 bottle options. It's like perusing Finnegans Wake for you, but for an MS, it's like plowing through People. Burgundy, Bordeaux, the Rhône, and Italy represent, while some up-and-comers like Bierzo (Spain), Santorini (Greece), and South America get to shine as well. “Alpine American Cuisine” is dished up by adept chefs, and a fun draw is a nightly game called “Dealer's Choice”, wherein McCoy presents a wine concealed in a velvet bag and self-professed pro winos give it their best guesses. And no, it's not Two-Buck Chuck. 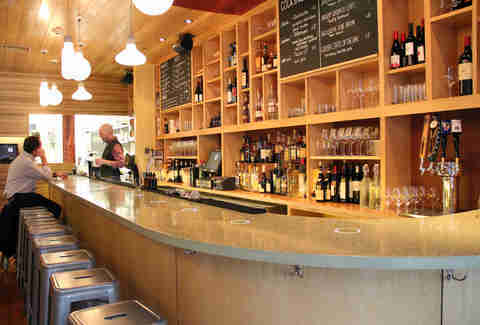 Set in the heart of the iconic Ferry Building on San Francisco’s Embarcadero, the Ferry Plaza Wine Merchant is co-owned by Master Sommelier Peter Granoff, Bo Thompson, and Debbie Zachareas, who has designed many wine programs around the Bay. For those into cult and classic producers, there are 35-40 wines by the glass and over 400 bottles selections that will leave you more stoned than Phish fans at the Fillmore. Wednesday Flight Night is a big draw, and, being at a major hub of tourism, a lot of cult and boutique names like to make appearances. It gets mad busy during Giants game days (because MLB and wine go together like beer and nachos?) and Saturday farmers' markets, so steer clear unless you're really into rubbing up against strangers. 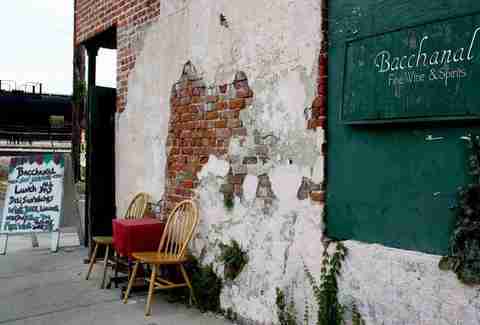 Pronounced, “lan-yap”, Mark Twain is quoted as suggesting it's "a word worth traveling to New Orleans to get". It means “small gift”, which is what you’ll get in the form of a surprisingly low bill after imbibing at this proper New Orleans-styled house of sin wine. Thrift-yard vintage furnishings set the backdrop for rounds of craft wines from small wineries offered at retail pricing rather than the traditional mark-up of most wine bars and restaurants. 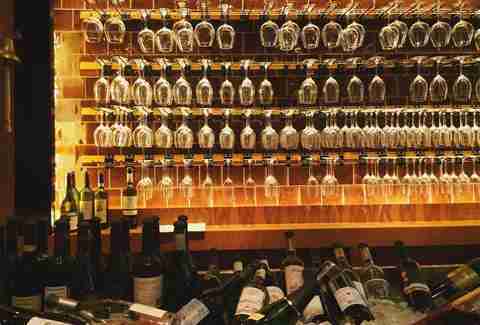 On any given night there are 8-10 wines by the glass and over 150 wines by the bottle. Live music kicks off every night at 8:30pm. Locals swear by the cheese and charcuterie offerings, but curse like French sailors when tourists show up with macaroons from Ladurée. Co-owner Brian McClintic was one of four badass swirling and sniffing wine pros featured in the movie SOMM, in which he achieved the coveted Master Sommelier title (the 107th American to do so). Together with Eric Railsback, he's created a neighborhood Parisian wine and tapas bar that is confounding local surfers. Their domestic wines focus almost exclusively on Santa Barbara County and European favorites lean heavily on French with an emphasis in Burgundy, Austria, Germany, Italy, and Corsica. There are 23 wines by the glass and 300 by the bottle. Monday is a special dinner night with a featured flight of wine (fried chicken and Champagne, for example). On Sundays, they serve a four-course dinner with optional wine pairings. If you opt out of those pairings, you’re kinda missing the point. You won’t find fancy glassware or elaborate table service here (come on, you’re in the East Bay). 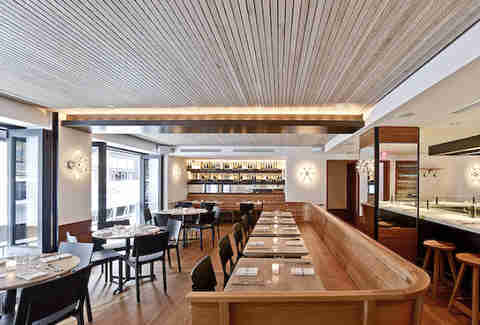 Ordinaire offers an open, airy space with a reclaimed marble bar lit by 18th-century chandeliers. Because proprietor Bradford Taylor (an English PhD candidate), finds the “fetishization” of somms “a bit disturbing”, pull up a chair and talk smack about wine geeks here without fear of retribution (but be sure to also quote Joyce: “White wine is like electricity. 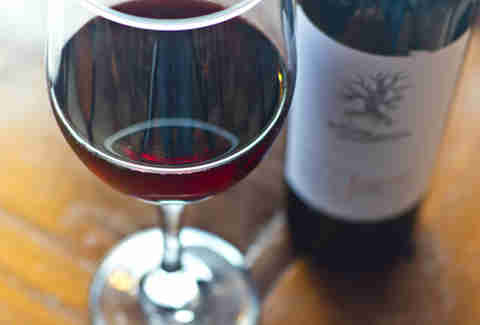 Red wine looks and tastes like a liquified beefsteak.”). At any given time, 15 wines by the glass and 250 bottles reflect California and European natural wine-making techniques, and they have one of the largest cellars of natural French wine in the Bay Area. Chef pop-ups happen regularly, and winemakers frequent the place to pour. When fresh oysters are in need of shucking, the focus shifts to bubbly. Where the Bowery might once have been a veritable Gatsby-esque Valley of Ashes, this pearl has indeed risen. While it’s honestly more of a restaurant that’ll fill you with a whirlwind of umami-packed small plates than a proper bar, there are few places where wine is a more essential part of the experience. Partner and sommelier Patrick Cappiello (formerly of Cru) is a T-shirt-sporting, tat-covered everyman who has a penchant for uncorking rare Burgundian wines alongside less popular, rising-star grapes like Trousseau Gris, Chenin Blanc, Cab Francs, and more from a 70+ page list. Stay late, because you might find yourself in an impromptu soiree of industry moguls who consider P&A their private late-night clubhouse, and aren’t opposed to getting up on the long bar for a bit of Champagne-sabering action. Hang at the bar, or start the party at a table... and whatever you do, get a double order of the octopus. 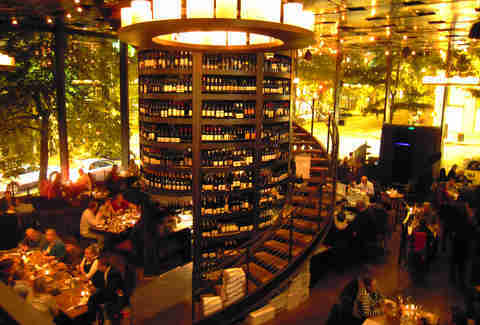 A massive tower of wine serves as the dramatic focal point to this cafe and wine bar in the heart of downtown Seattle. 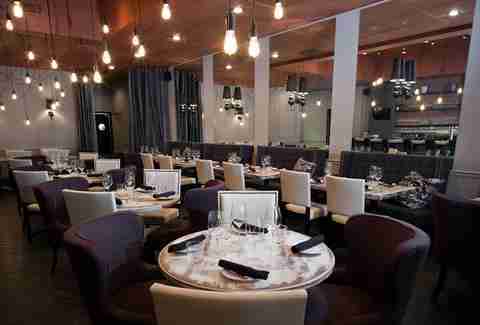 Purple offers a menu curated by a team of food and wine professionals with pairings for everything on the menu -- and that's no small feat, considering they offer a wide net of nearly 100 wines by the glass and 600 bottles. Popular pairings in their sea of menu options include the salmon tartare with the Château La Garde Blanc and the pan-roasted duck breast with the 2006 Pessac-Léognan from France. In the event of one of their rooftop barbecues, Seattle tourists are advised to come prepared with their rain ponchos, but Seattle locals just tent their flannels. 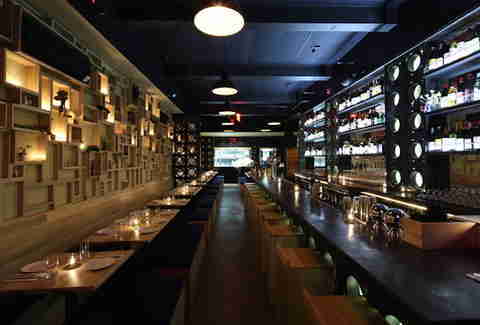 Mismatched furniture and dim lighting grant this intimate wine bar (room for about 50) a warm, homey, and quiet vibe. Humboldt Park was nothing more than a destination for the Puerto Rican Day Parade until this wine bar laid down some roots about five years ago. Wine director Jamie McLennan has chosen to focus on organic, biodynamic, and natural family-farmed wines from people they’ve met all over the wine world. Cheese and charcuterie plates are the bomb, and their 35- to 60-day dry-aged beef is worth more than actual gold-coated Capital Dome. Witness the fine art of winemaking in this modest neighborhood warehouse in Southeast Portland, where a coalition of winemakers toils away in a massive space right off the city's bustling Division Street. Luckily for patrons, they serve the wine, too. 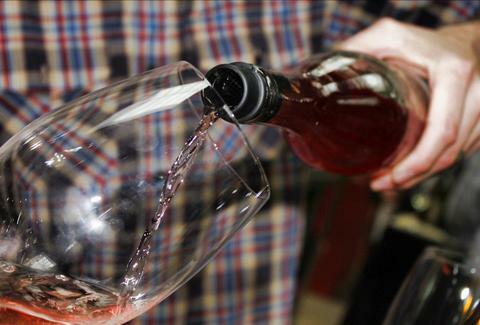 Southeast Wine Collective offers all of their homemade wines by the glass and features five high-quality rotating taps. Pair those with the culinary stylings of chef Althea Grey Potter, or come in for their monthly Supper Social where guest chefs from around Portland prepare their own food menus to pair with the Collective’s homemade stash. Deep in the heart of New England academia lies Spoke, a modern and cozy wine bar offering off-the-beaten-path and eclectic wines to connoisseurs and newcomers alike. Small producers from the Old World reign supreme here (as did pilgrims), and you'll more likely than not drink something organic, biodynamic, and farmer-made. But if you don't know what any of that means, don't worry. The friendly staff at Spoke is happy to educate you. Hot on the menu now is the branzino crudo and fried Vermont quail with waffles and smoked butter (call it Boston chicken & waffles to save time). Not everyone can be a Kennedy, but at Spoke, it's easy to pretend. Liz Mendes -- the owner, beverage director, and somm -- is out working the floor most nights. They call her “The Sherry Pusher”, because she's got the way to move you with roughly 30 fortified wines and a Sherry program that’ll astound (including Sherry cocktails). 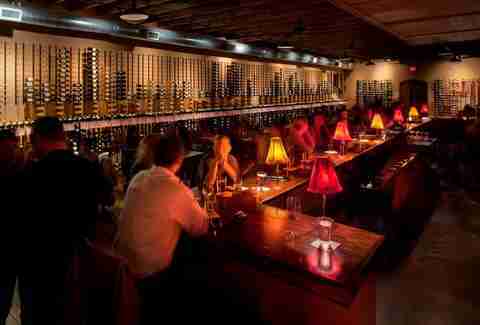 They also pour 18-25 red, white, and sparkling wines by the glass. Wine geeks will die and go to heaven with the soon-to-be-released revamped wine list, which will be organized by soil type. Food pairings are “Spanish-inspired Chicago” fare (picture cilantro flying off your taco in a wind storm), and the dish to get is Pulpo Gallega (grilled octopus drizzled with EVOO and pimenton). The whole dish has a texture and flavor profile, acidity, and depth that can pair well with an array of wines. And Sherry, of course. Ian Mendelsohn started as a sommelier at Windows on the World (Kevin Zraly’s wine bar that resided on the 107th floor of the World Trade Center, North Tower) then ran the wine department of Christie’s auction house and was wine director of the Mirage Hotel & Casino in Las Vegas. Translation: he knows his stuff. Vine & Tap is a comfortable space with a high sense of style and a jeans and T-shirt crowd who like to drink legit wines while taking in a baseball game (TV’s on mute). With 25 wines by the glass, four wines on tap, and 130 wines on the bottle list, the program rocks a hand-selected menu of global winemakers who like to experiment, from divine German Riesling producers like Dönnhoff to Rajat Parr’s Sandhi wines from California. They make a 13-hour smoked brisket chili, which goes great with their local craft brews or heartier red wines, but guarantees you’ll be sleeping on the couch before you even know it. Giving life to Austin’s historic Hyde Park neighborhood, this casual and comfortable wine bar -- with its low lighting and warm wooden interior -- is fit for a romantic rendezvous or clandestine scheming, if that's your thing. 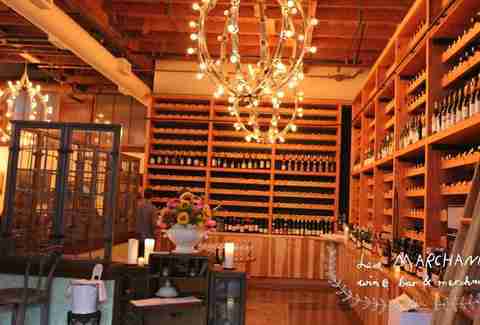 Vino Vino gives hope to winos seeking a global selection focused on Old World, small-production vineyards, with 21 by-the-glass options and a selection of over 350 bottles curated by owner Jeff Courington, GM Kelly Voelkel, and certified sommelier Lexey Johnson. The mussels and fries are killer and pair well with a Spanish white from the Basque called Gorrondona Txakoli, which is often ordered simply by pointing at the menu and grunting. Jonathan Cristaldi resides in LA, is deputy editor at TastingPanelMag.com, and mines for gold on the weekends. Brazenly follow him at @NobleRotNYC.